Are you thinking of purchasing a pontoon boat but don't have any clue how to choose the best one? Then you are in the right place. You will get a fresh idea on how to choose a perfect pontoon boat for fishing. It's not that much easy to choose a perfect pontoon boat because there are many brands, models, and designs of pontoon boats. So the question is which one is the best? That is why I am writing this review with profound information of 5 best pontoon boats from my experience. And also from the experience of my friends. So if you read this article written on "pontoon boats review" I am damn sure, you will find it easy to choose yours. How many fishing rod holders it has? How long is its lifetime? Can I use it on saltwater? Is it easy to inflate? Does it have Motor or trolling motor? What Should You Do If There is Water in Your Pontoon? Classic Accessories Colorado XT﻿﻿ is one of the best pontoon boat for the money. It is nine ft long, and it has a weight capacity of 400lbs. 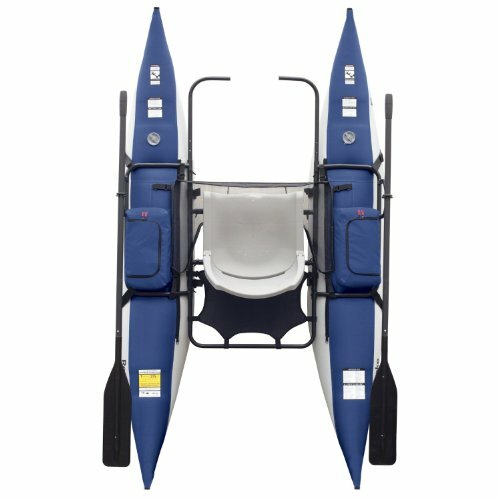 The pontoon has a built in wheel, with which you can move it conveniently. It has storage bags, 20 pockets and two water bottle holders. It has adjustable seat and rod holders. It is made of heavy duty material. It's an inflatable and hence it is lightweight and very easy to maneuver. 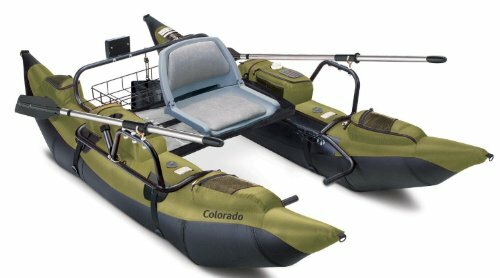 The Classic Accessories Colorado is a great inflatable fly fishing boat. It is included with 20 pockets. It has two bottle holders. The weight capacity of the pontoon boat is 400 Lbs. It has a water resistant motor mount system. The rod holders can be set in 3 different ways. The seat is adjustable and very comfortable also. The pontoon has enough space for footrest. The bladders are heat and cold resistant. The Cumberland Float Tube has an excellent durability. It has a high seating system. So you can see around very well. The Cumberland has a hydrodynamic hull which provides superior steering and handling. It has adjustable shoulder straps which make it easy to carry. It has a weight capacity of 350 Pound. It has 2 rod holders which give you best fishing experience. The tube has two zippered pockets, mesh pockets. The Classic Accessories Roanoke is reliable and flexible. It is suitable for rough water. It has a river rating of class 1. The maximum weight capacity of the pontoon boat is 350 Lbs. It has adjustable footrest system. The seat can be folded. The bladders are resistance to temperature. Sea Eagle 285 is another great pontoon boat. It has 450 Lbs weight capacity. It has rod holders and motor mounting system. It has a swivel seat. The pontoon boat is suitable for saltwater and also fishing in lakes, rivers and other water spots. You have to consider many things before purchasing a fishing pontoon boat so that you don't fail to choose the right one for you. Most of the first-time buyers make a mistake doing it in a hurry. I am sure you don't want to make a mistake. So I recommend you to research a lot before purchasing a pontoon boat. There are a lot of good pontoon boats in the marketplace. And as you are a new buyer all of them will look same to you. From our long-time experience, we have picked some of them in this review article. We picked these pontoon boats because they are great and without them, a list of top pontoon boats wouldn't be complete. So all you have to do is reading this article carefully. Only then you can make it easy; I say very easy. This is the first question you have to ask yourself. You may use it for fishing, leisure or family, and friend gatherings. Are you a fishing enthusiast? Do you love fishing and want to purchase a pontoon boat for fishing? Then you have to choose a pontoon boat having fishing chairs, rod holders, and fish finder. And that would help you make a successful fishing. 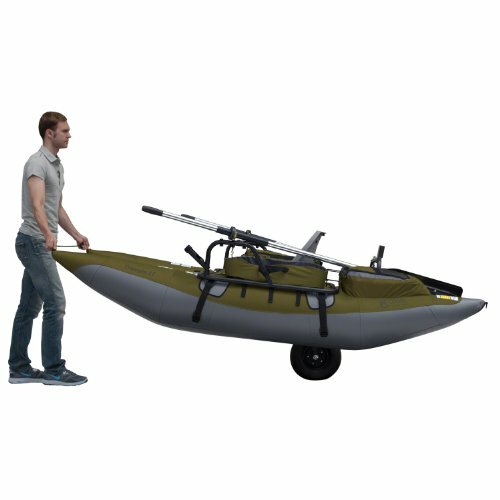 Are you looking for a pontoon kayak to pass your leisure time with your friends and family in different water spots? And if you have no interest in fishing, then you don't need to check if these are rod holders or fish finder in your pontoon boat or not. Rather you have to check how much space the pontoon has. And also check how powerful it is to take more people. 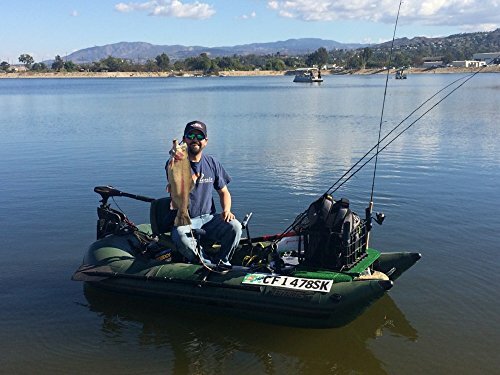 You can use float tube pontoon boat if you are fishing in lakes. But it won't work properly if you want to use it in river or sea. For that purpose, you need a heavy duty pontoon boat as there are waves in the sea. Some pontoon boats have fiberglass in their construction. They are very lightweight. Their look is very gorgeous. But they have a problem of repairing. Repairing is a little bit difficult, and you need expert assistance. Hence repairing of these types of pontoon boats is costly than other types. Inflatable pontoon boats are affordable in price. It's very easy to maneuver an inflatable pontoon boat. Nowadays these inflatable pontoon boats are the most popular. I also like inflatable pontoon boats. They are easy to transport. You can carry them in your car or with a backpack. They are just awesome. You can fish in various spot with an inflatable pontoon boat. But inflatable pontoon boats are not that much suitable for the ocean. Pontoon boats made of aluminum is durable. They are lightweight too. Aluminum pontoon boats are easy to repair if any part gets damaged. But they are very expensive. So which type of pontoon boat matches your need most? I think you better know. If you are a beginner, then I recommend you to buy an inflatable pontoon boat as they are affordable, light and easy to maneuver. There are many pontoon boat companies, but all of them are not good enough. Some companies make an outstanding performance. We are discussing here about our favorites. Sea Eagle pontoon boats are excellent. They are stable, lightweight and suitable for using in varies spot. They are also durable enough. They make a quality product. When you are reading a review on a pontoon boat, you will find “Classic Accessories” pontoon boat in almost all review because they are famous enough. They make all kinds of pontoon boats considering the demand of various types of customers. Their products are qualityfull. There are some other famous brands also. You can also take a look at them. But I recommend you to purchase one from “Classic Accessories”. Because, it is awell known and trusted brand. So why would you look for other brands? One person pontoon boats have a maximum weight capacity of 450 Ibs and two person pontoon boat can bear up to 650 lbs weight. As a pontoon boat is heavy enough by itself, you have to give importance to its capacity. It’s really wise to think and research before purchasing, isn’t it? Weight does a great matter. The lighter the pontoon boat is, the easier to maneuver it. 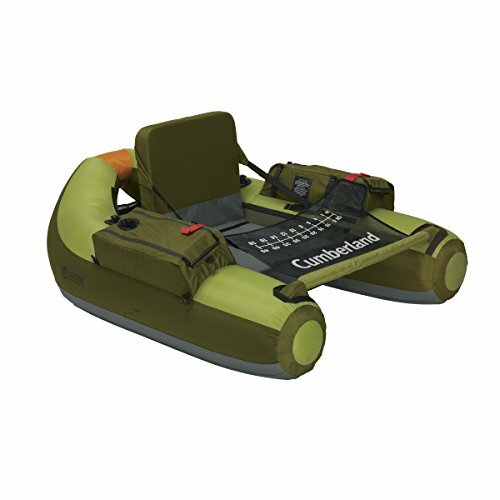 Now if you are really thinking of weight an inflatable pontoon boat will be perfect for you. They are the most light. You can carry them with a backpack. Easy to transport. But they are also durable enough. Whet inflated they can bear over hundreds of pound. Now with the weight, you also have to look if the pontoon boat is made of durable qualityfull material. Storage is necessary in the case of which kind of fisher you are. If you are a serious angler, you need a large room. Or if you are planning to take more gear with you, then a big storage is required. Pockets are same. You can keep your extra gear in pockets, and you can get more storage space. Also, make sure that there are rod holders in the pontoon boat. Because with rod holders you can make a free hand fishing. Now the question is "how much storage do you need?" Ok then remember one think, "The bigger the storage is, the more expensive the pontoon boat will become." That means large storage makes you spend extra money. So if you can be satisfied with less storage then don't go for bigger as it will save you some money. Don't forget to check if the seats of the pontoon boat are comfortable and they have the comfortable backrest. As you will spend a long time on your pontoon boat, it's a must to have backrest seat, or you will not enjoy your journey most. Motor runs pontoon boats. So check the motor installing system in your pontoon boat before purchasing. And if you already own a motor then buy a pontoon boat in which you can install your old motor. These are some important features you must check before purchasing a pontoon boat. And if you check these functions carefully you will find the one for you. There are 2 fishing rod holders. If you take proper care it will serve you for your lifetime. This is very well built, so without abuse, it has much longer lifetime. It is very easy with 12 volt inflator to inflate. No, these units do not come with motor/ trolling motor. But there is motor mount bracket to mount a motor. 1. Cover your boat when you are not using it. Covering prevent the sunlight fading. Get the boat shrink from the dealer and use it during the winter season. 2. Check your boat regularly in the searching of leaks or dents. If you find any, fix it immediately or contact with the boat dealer. 3. If you use the boat in salt water, then flush the engine after each use. Salt water can damage the engine, that’s why flush is important. Also, clean the bottom of the boat for preventing salt build up. 4. Scrub the boat deck with non-skid cleaning solution. 5. For the maximum quality preservation, wax the boat every few months. Pontoon can be damaged simply for regular use. Bumping a log, rock or other piece of debris can be caused for minor leaks of your pontoon boat. However, water can pass through the leaks slowly. It will cause various problems such as the water will weigh down the boat, put unnecessary strain to the engine, decrease the performance and as a result, it will increase the fuel consumption. If you notice that your boat is getting lower in the water, it is sure that you have leak(s) in your boat. The best idea is to find the leak and re-seal it immediately. You may have to go to the dealer or authorized aluminum repair shop if you fail to find the leak. So if you have already read the whole article carefully, I am damn sure now choosing a perfect pontoon boat is not that much hard for you. Now it's time for purchasing a pontoon boat. Think about your need and search for the one which matches most with your need. I recommend choosing any of the "Cassic Accessories" pontoon boats described above. Now the choice is all yours.